Taped back neck. Comfort finish cuff seams. Tape reinforced shoulder seams. Side vents. Slanted placket, half moon yoke. 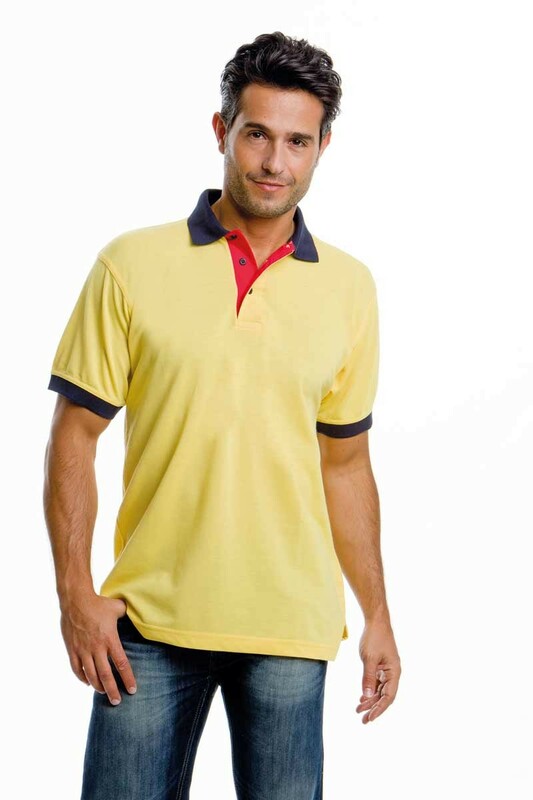 Contrast placket, collar and cuffs with 3 contrast buttons. Twin-needle stitched around armholes, cuffs and across shoulder seams. Spare button.